Please list the subjects you are studying at GCSE and indicate the entry level where appropriate e.g. higher, intermediate or foundation in the second column, your predicted grade in the third column and any actual grade in the fourth column if you already have formal exam results. Tell us more about your achievements in and out of school, what you enjoy doing, volunteering or jobs you may do for family or employers. To study Level 3 courses, students need to have achieved six Grades 9-4, including at least 2 5s. Some subjects have course specific requirements - please refer to the prospectus. Students wishing to return for Level 2 courses in retake English and Maths will also take the Certificate in Personal Finance for use as a stepping stone to further study. Please choose your subjects form the drop downs below in order of preference e.g. Subject 1 is the subject most important to you. 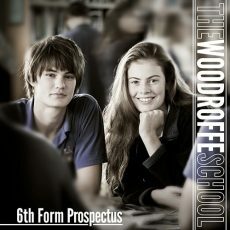 Please also discuss your option choices with your parents, teachers, tutor and Head of Year. Please tell us a little bit more about why you made your choices and what your plans are for the future. Before submitting your application please make sure that everything has been filled out as accurately as possible. It is important that you have chosen your subjects for next year in order of preference. To go back and check the form please use the 'Previous' buttons or the links above the application.